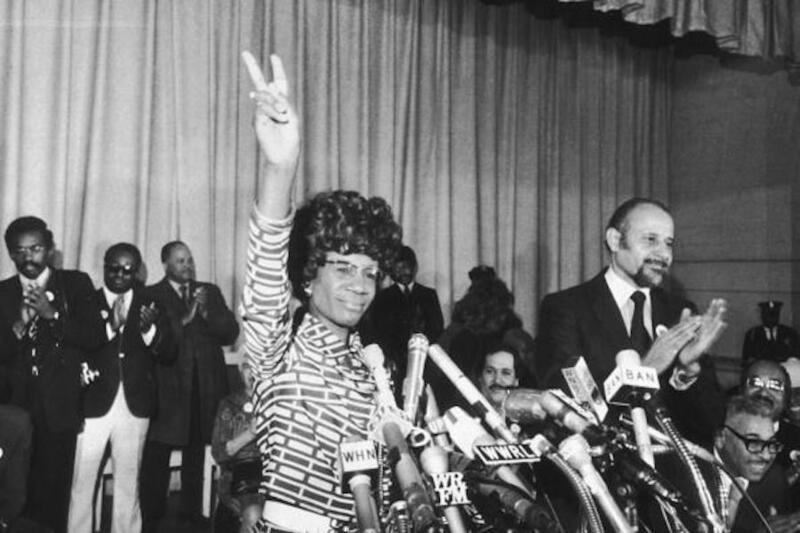 Only four years after this victory, Shirley Chisholm became the first Black woman elected to Congress in 1968. Known as “Fighting Shirley,” Chisholm championed over 50 pieces of legislation that prioritized racial and gender equality. In 1972, she made history by becoming the first Black woman to bid for the presidency while facing incessant discrimination. Chisholm was banned from participating in televised primary debates until she sued for her right to speak. Her campaign was underfunded and she faced several assassination attempts. In the end, she won 10% (152) of her delegates’ votes. From Hamer and Chisholm, to Flo Kennedy, who started a feminist political party, to Elaine Brown, the only woman to run the Black Panther Party, to Loretta Lynch, the first Black woman U.S. Attorney General who worked to stop discriminatory voter ID laws, Black women have always been political pioneers in a system that seeks to exclude us. We fought for our country, we fought for our freedom, and we continue to fight for progress. Today, Black women make up the largest segment of registered women of color voters, but their needs are the least likely to be met when it comes to health care, sexual violence, education, and economic support. Yet Black women are often treated as saviors in political elections that have historically underserved us. Ninety-four percent of Black women voted for Hillary Clinton in the 2016 presidential election, 98% of Black women voted for Sen. Doug Jones in Alabama in 2017, and 95% of Black women voted for Democratic candidate Beto O’Rourke in Texas’s senate race in 2018. That same year, 468 Black women ran for office, and five of them had historic Congressional wins. During those midterms, Stacey Abrams—who would have become America’s first Black woman governor—refused to concede early to Republican candidate Brian Kemp in Georgia’s gubernatorial election, calling out the discriminatory voting practices that impacted the election. Black women’s contributions allowed Barack Obama to ascend to the presidency in 2008 as the first Black president, and one day (hopefully soon), when a woman, a queer person, a Native American, or any other marginalized person steps into the Oval Office, it will be because Black women fought to get them there. Sen. Kamala Harris recently announced her campaign for 2020, making her only the second Black woman to make a presidential bid in American history. Harris acknowledged the legacy of Congresswoman Chisholm and her historic presidential run by using colors and font similar to Chisholm’s campaign materials in her own logo. 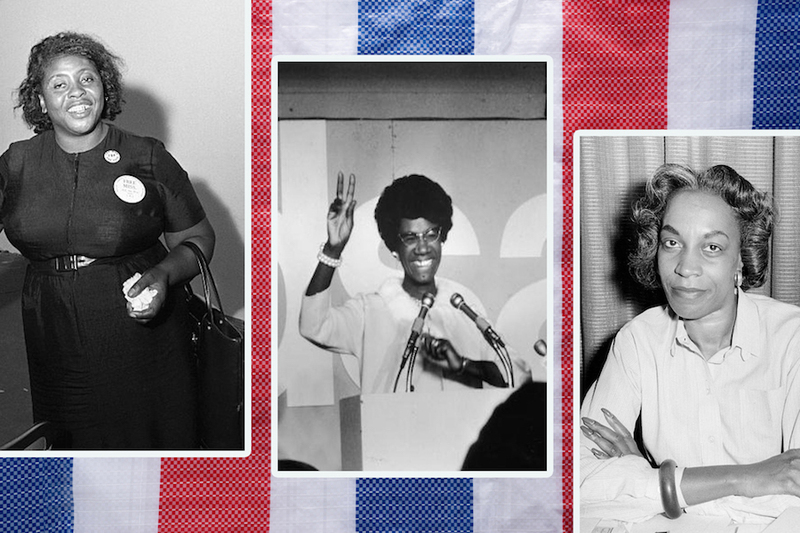 Regardless of who wins in 2020, the activist legacy of Black women in government will continue. Our society’s progress cannot be solely attributed to the efforts of white people. Black women have tirelessly fought for an actual democracy in a society that isn’t equal, paving the way for a female presidency.